In the video game industry, sports games have it pretty rough. Short development cycles each year aren’t excused by die-hard fans, as the expectations are to deliver a seemingly crazy number of quality features regardless of the development window. For the Tiger Woods PGA TOUR series, it’s a constant uphill battle. Though EA SPORTS doesn’t have a direct competitor in the simulation golf market, the series is miniscule in comparison to its Madden & FIFA big brothers. With so many hurdles to jump, does Tiger Woods PGA TOUR 14 deliver an experience that even non-golf enthusiasts can enjoy? If you’re a lifelong fan of the series and you’re tired of shooting ridiculous numbers, this is the year for you. EA SPORTS introduced Simulation mode which has quickly become the most frustrating, yet rewarding feature in any sports game in quite some time. Why? Just like a match on the golf course, Simulation mode humbles you. Shots that you might consider routine in previous years will have you double, and sometimes even triple, checking yourself. The mode plays true to the golfer that you’re using, makes the lie of the ball extremely important, and strips you of all the computer-aided functions that you didn’t realize you took for granted. As someone who typically dominates the computer on most difficulties, I found myself shooting a triple-bogey on my first hole with the mode. Suddenly, I’m gripping the controller tightly and searching all over the screen for adjustments that I typically wouldn’t make. While you can gauge the direction of the wind, you’re oblivious to how fast it’s actually blowing in that direction. You’ll yell a few obscenities in Simulation mode, but earning par on a hole has never felt better. For true fans of the sport, this is the mode for you. A rather large theme in the marketing of Tiger Woods PGA TOUR 14 has been “Take down the Legends.” In the Legends of the Majors mode you’ll be taken back to play as or against golfers like Bobby Jones, Seve Ballesteros, and even Jack Nicklaus. Each event challenges you with beating the event and then also excelling at it as well. Excelling at the event will earn you “Legend” status and help unlock additional events. You’ll quickly notice a sharp change in the presentation upon entering any number of these challenges. You’ll find a grainy look as you play some of the earlier events and will eventually witness the technicolor of the 1970s. More than just presentation, the equipment and styles of golf evolve through the time periods which gives you a true appreciation for the game’s authenticity. Clubs that you’ve never heard of will make an appearance and can even be transferred to your created golf once you earn them.The feel of the clubs evolves beautifully, making you truly appreciate modern putters. On the gameplay side, “Swing Style” is the marquee feature. Upon creating your golfer, you’ll select between different categories to build the DNA of your character. Selections between power and accuracy, amongst others, will lead your golfer to a certain swing style. The options you select can ultimately play a large impact on your game, but you won’t tend to feel any major effects unless you’re playing outside of the first or second difficulty level. Swing style becomes a great equalizer within the game, however. Draws and fades prove to be much more difficult as you’ll need to craft your swing to accompany your style change. On Simulation mode, the typical “down and up” mechanic of swinging will be gone. Instead, you’ll need to swing your club at an angle that can lead to quite a few hilariously bad moments. It’s difficult, but for anyone that’s played a few rounds of golf on a real course, you’ll instantly have a sense of respect for it. Presentation took a few steps forward this year with their stat overlays and broadcast view, but commentary can be quite incorrect at times. Unless you have the game installed to your hard drive, on the Xbox 360 for example, you may run into some odd load times or stalls in between holes or presentation transitions. Installing the game seems to resolve the majority of issues for the time being, but you’ll still have a few annoyances after doing so that can slightly hinder the experience. Camera angles can drive you insane at times as it’s tough to truly understand just why the game is placing the view where it does. However, putting seems to be where the issues flares up the most. The additions of Connected Tournaments and increase of members in a Country Club are welcomed this year. Country Clubs can now house up to 100 members, but it’s a bit crazy that players seem to only be able to be a part of a single club. An avid golfer may be a member of multiple clubs in real life, if they’re willing to spend that kind of money, so it would have been great for EA SPORTS to allow at least two or three memberships per gamertag. For those looking to meet a few players to enjoy a round of golf with, Connected Tournaments prove to be a great opportunity. After choosing an event, you’ll land on a course with a group of gamers that are scattered on various holes. As you’d hope, it’s great to see other golfers taking shots on a hole that you’re on as you can see where the best position may lie. For a sports title that tends to be the “little brother” in its family, Tiger Woods PGA TOUR 14 delivers a fantastic experience. Players who have taken a year or two off from the series will find more for their money, but even avid fans should own this title. 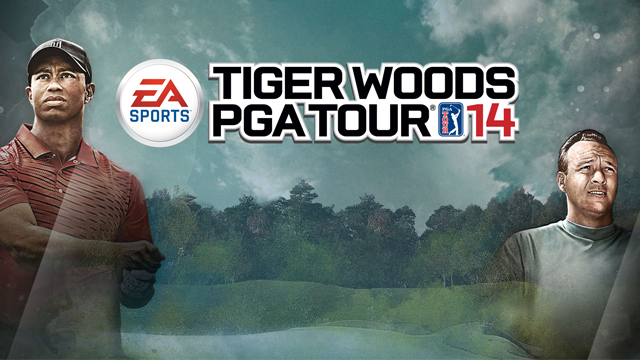 Only a few small issues hold Tiger Woods PGA TOUR 14 back from being an all-time great.